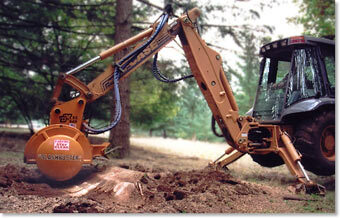 Expand the capabilities of your backhoe with an SG240 stump grinder. 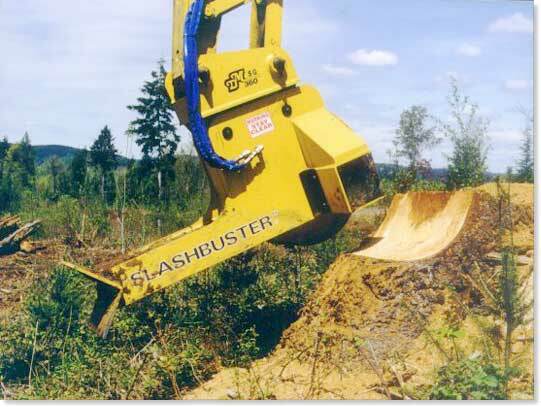 Patented guide cones make stump removal easy by helping prevent stalls of the cutting wheel. 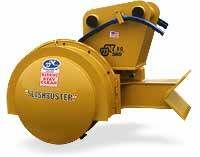 Grinds below soil level by digging, raking and trenching with the double heel rack. The cutting teeth are safely enclosed in the shroud, providing more protection than open designs.